Fresh from their large scale gig at this year's EFG London Jazz Festival, Laura Jurd and her group Dinosaur will be perform at the Sage joined by tuba player Daniel Herskedal's trio. Stalwart of the European jazz scene, trumpeter Thomasz Stanko, is famed for his ability to bring together exciting musicians from across the world to perform with. 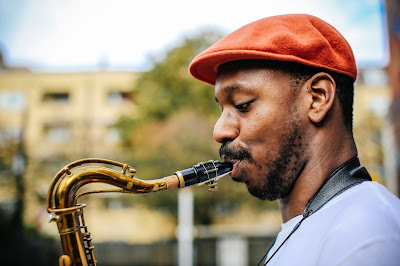 He doesn't disappoint this time, as he is joined by the Finnish pianist Alexi Tuomarila and two US jazz giants, Gerald Cleaver and Reuben Rogers. If you like your jazz to have some vocals, definitely don't miss Clare Teal as she appears with 17 piece Hollywood Orchestra led by Guy Barker. Saxophonist Shabaka Hutchings will pay homage to the music of South Africa when he is joined by some of the best young South African musicians. That's just the tip of the iceberg so visit the Sage website to find out more and stay tuned for a more comprehensive festival preview from us soon.